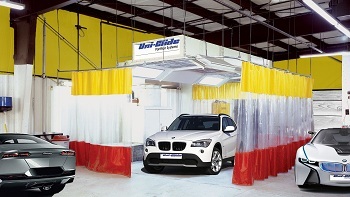 Enhance appearance, increase productivity, and improve vehicle quality with our Wash Bay Curtains. 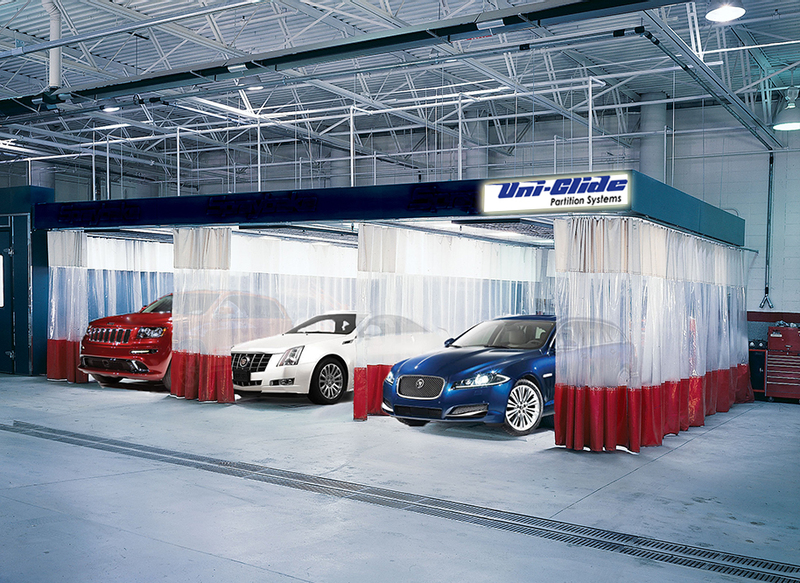 Uni-Glide car wash curtains are a convenient way to create flexible see-through work spaces that can be closed off when they need protecting and opened up completely when they don’t. They can be a great money-maker for automotive and aircraft shop operations. The automotive partition curtains are perfect for containing unwanted spray residue, dust, and sparks while preventing them from entering another work area – especially when painting, sanding or grinding. By using Kingman Industries’ industrial wash bay curtains, you will experience more efficient spot-painting, base coating and final clean-up operations. You can also be confident that your prep and detailing areas will stay clean and dust free. Are you in the market for wash bay curtains in Canada? If yes, read on to discover some of the benefits of wash bay curtains that we carry. Significantly increases amount of usable work space. Compartmentalizes work areas for more efficient operations. Makes shop areas more desirable to work in. Curtains designed to fit your shop’s needs. Improves the appearance of your shop or garage. Protects from dust, sparks and overspray. Partition options include removable window panels, tinted transparent windows, vinyl meshes, partition protectors, anti-static clear windows, valances, and customized filter openings. Most curtain systems ship within 14 business days or less. Five year warranty on all wash bay partitions. Top and bottom separately available in 7 colors of opaque 14 mil reinforced vinyl – black, blue, green, grey, red, white or yellow. Clear curtain material allows for easy supervision. Contact Kingman Industries to receive a quote. Kingman works with our customers to find a solution that works for your specific needs. Contact us by email, phone or use our request form.